Encompass is core to your business, which means the fitness of your solution is business critical. Analyzing KPIs related to your Encompass application can help you achieve peak performance. 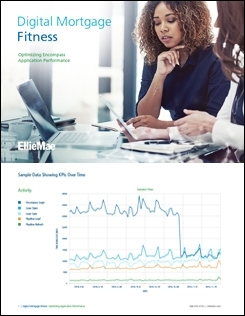 Download our eBook, Digital Mortgage Fitness: Optimizing Application Performance, to find out how Tech Pulse can help you improve Encompass application efficiency and, ultimately, your bottom line.